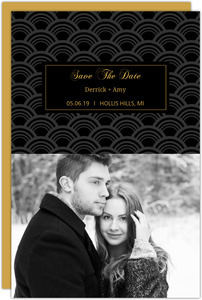 Save the Date cards the exude pure elegance was the goal of this category. 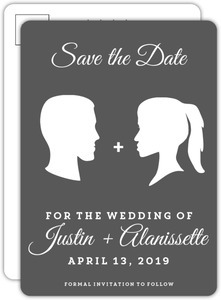 I think we accomplished that goal. 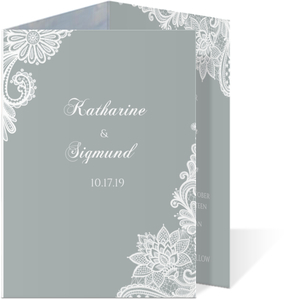 They're pretty fancy. 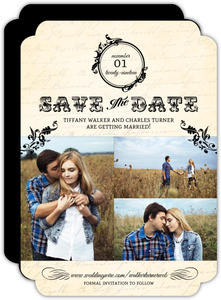 Pick on that works best for you and personalize it. 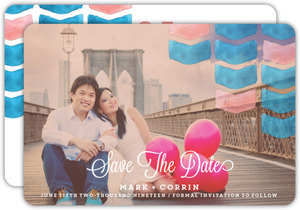 You'll be able to create just what you had in mind with only a few clicks. 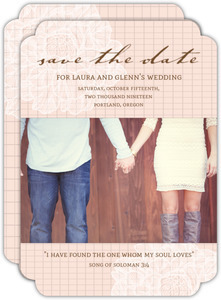 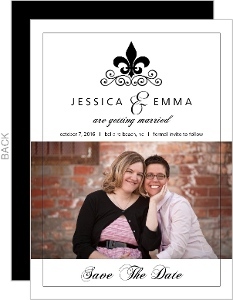 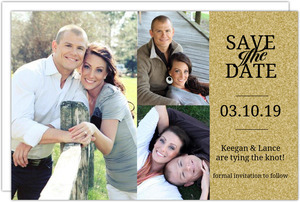 Pick out a matching wedding invite for full effect. 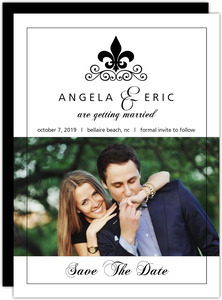 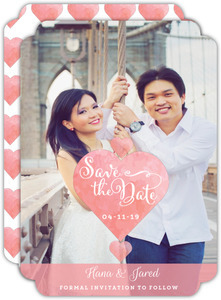 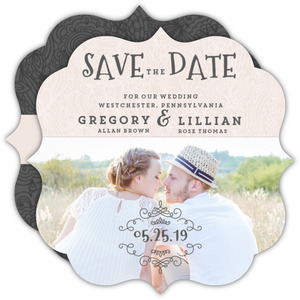 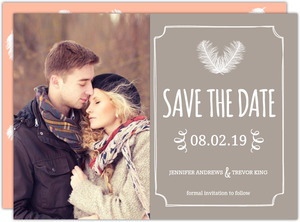 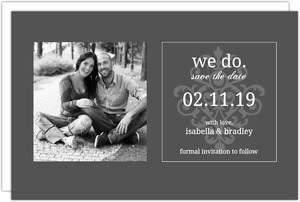 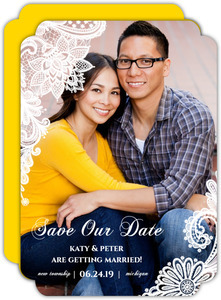 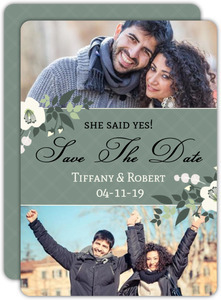 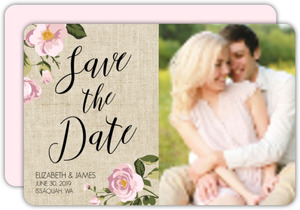 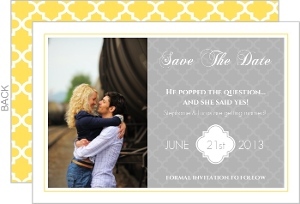 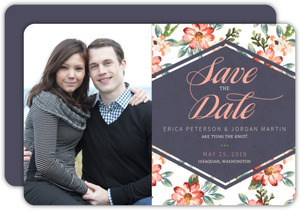 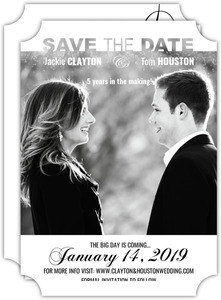 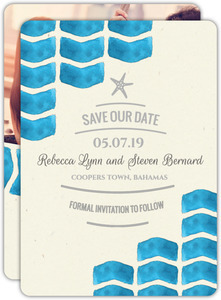 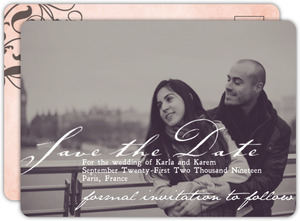 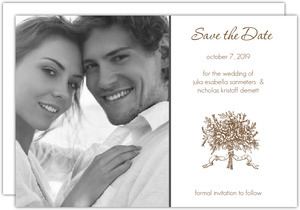 Elegant Save the Date cards have different levels of elegance, and it just may be that the perfect elegant save the date for you is in a different category, so don't be afraid to look around on our site, you'll find a lot you can work with.